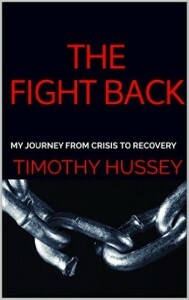 Timothy Hussey’s new book, The Fight Back, is the courageous story of one man’s struggle to rise above childhood abuse, poor self-esteem, and a failed, ten-year marriage to get his life back on track — through a closer walk with God. Hussey tells with aching vulnerability of his early years in a country environment, running with the wrong crowd and doing rebellious things. It’s an all-too-familiar theme these days, as big blended families like the one he grew up in overlook the trouble signs of a wayward youth. He begins working at a large national supermarket chain, where the hours are often brutal, but the pay is good. Then, his life changes forever. His partner of two years discovers she is pregnant. The resulting child, though wanted, serves only to varnish over the increasingly large cracks in their relationship. The years pass and the couple struggles to maintain the status quo. They try also, while being barely civil to each other, to try to make sure the now-three children feel loved and appreciated. Finally, after ten years, they decide to end the marriage. It’s far from amicable, but both parents make sure the kids know they’re loved, even though their folks won’t be together anymore. The rest of the book chronicles the author’s slow climb back from the edge of financial and emotional despair, primarily through his participation in a large Christian church. In fact, it is there that he eventually meets the real love of his life. This is a story for anyone going through marital difficulties or who might be living a dysfunctional life, thinking there’s no way out. Anyone who has been in a similar situation can easily relate to the author’s pain — and rejoice over his eventual triumph through careful devotion to God and open dialogue with his three children. Near the end, he imparts ten key points to keep in mind while going through a divorce. These tips alone — from someone who knows what he’s talking about — is worth the price of the book alone. The Fight Back is a completely honest account of one man’s battle through adversity to a happy ending. 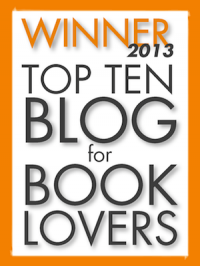 Read it today.